Two Mono Money Channels: SiX gives you a pair of recording channels that deliver outstanding results quickly and easily. They include transparent SuperAnalogue™ Mic' Pre's with a wide 66dB of gain range, phantom power, 75Hz high pass filter and separate line-level input which can be switched to instrument level. Each has a brand-new one knob compressor circuit based on and with the same sound as the classic SSL Channel Compressor. It has program-dependent attack time, fixed release time, fixed ratio and automatic gain make up. There is a new two-band SSL EO that may be switched between shelf and bell curves, with different centre frequencies for each type. Each channel has a balanced insert point for integrating other processors, and like all SSLs the insert send is always active - so it can be used as a record send to your DAW. SiX has 100mm faders with carefully set fader tapers that give the most control over the most useable gain range for both studio and live production control. 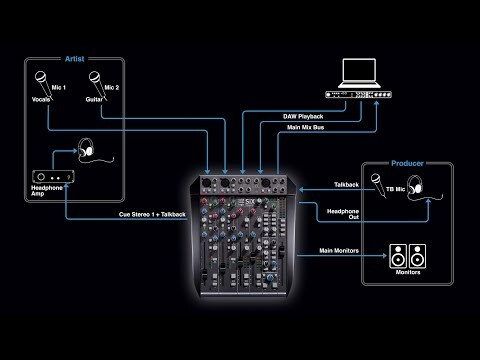 Twelve Line Inputs at Mixdown: SiX has two stereo line input channels with -10/+20 dB trim, balance controls and 100mm faders. If only the Left input of a stereo channel is connected the channel will automatically switch to mono, panned centre. 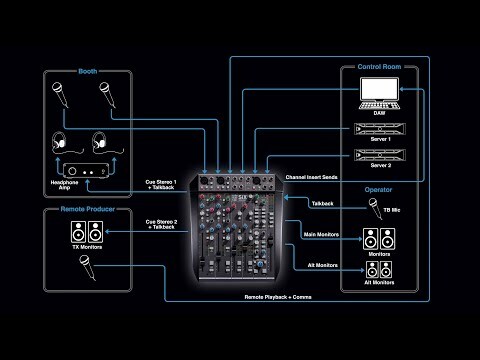 Using the two mono input and the two stereo input channels gives SiX its name, but it also has two stereo EXTernal inputs (with level controls) which can be sent to the mix bus. Include the ALT inputs and we have up to 12 channels that can be summed into the main mix bus. The Mighty Bus Compressor: SiX has a G Series Bus Compressor on the main outputs. This uses the classic console circuit design but with a fixed ratio, attack, and release settings and a more modern quad-VCA chip. The simplified controls make it very easy to get that SSL glue and snap on whatever you push through your master bus. Professional Routing & Monitoring: SiX has two foldback buses for artist mixes. 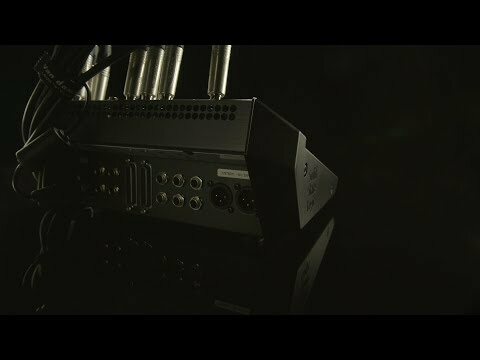 The Master Section has main and alternate monitor outputs with a proper monitor source matrix, as well as mono check, dim and cut. 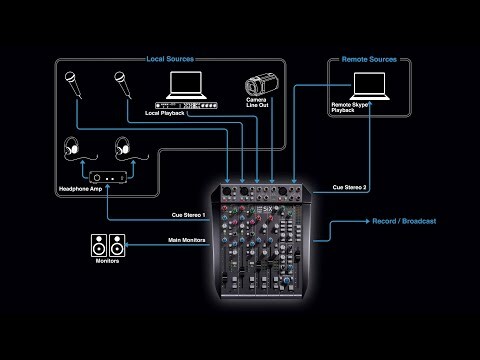 The channel mute buttons route to 'Bus B' which can be used as a DAW record send but also routes to the monitor matrix enabling its use as a handy way to monitor a remote source before going live in a webinar. We also have a talkback mic' input with phantom power and SSL's classic, crunchy Listen Mic Compressor. Everything except the headphone jack is fully balanced. 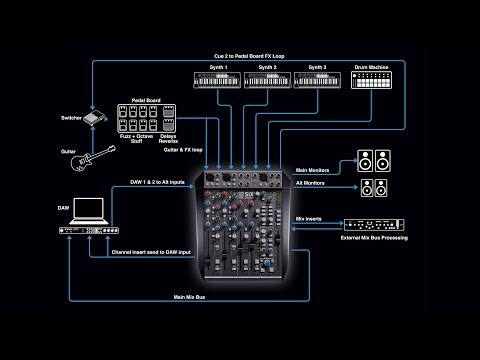 There has never been a compact mixer quite like this. SiX brings the SSL big console sound, creative workflow and legendary processing tools to your desktop. We talk you through how to connect up and use SSL SiX for recording a singer songwriter and then how you might use SiX for a classic three mic drum recording. SSL talk you through how to connect up and use SiX for studio writing/recording sessions and then how to reconfigure it for mixdown. 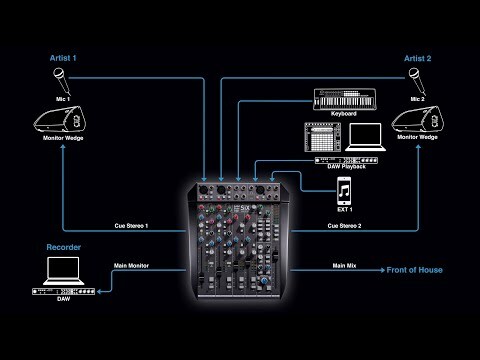 We talk you through how to connect up and use SSL SiX as a professional personal mixer on stage for up to two musicians. We talk you through how to connect up and use SSL SiX for professional small scale post production and dubbing sessions.